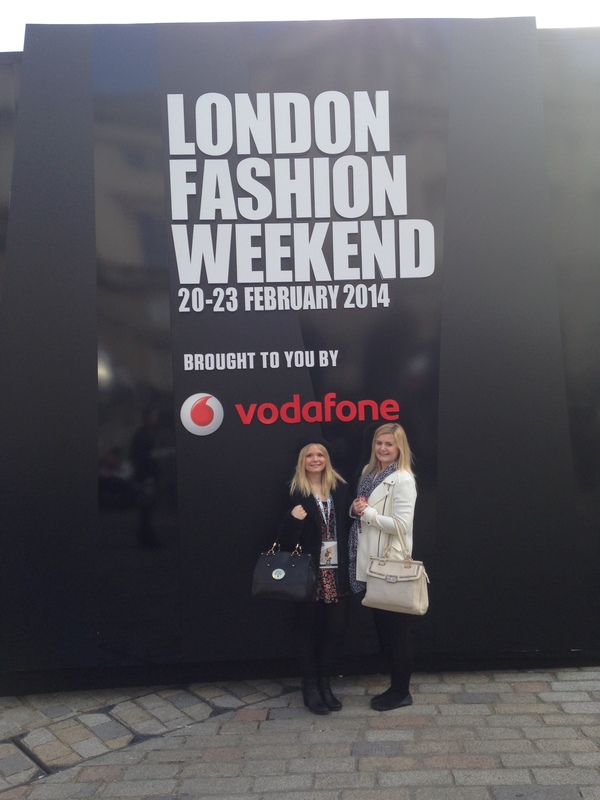 As a cheeky treat I bought my sister and I tickets to the Saturday event of London Fashion Weekend and we loved every minute of our girly and glamorous day. 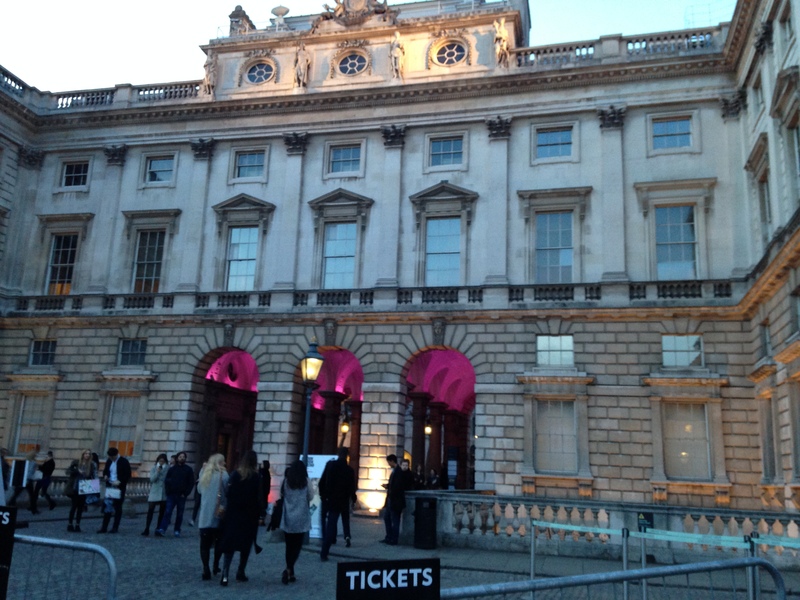 The venue was Somerset House in London and we headed there for 1.30pm. I have to admit, even just the building looked lush let alone all the fashionistas that were there- pink lights filled the arch way ceilings as you walked through the entrance. It was v.cute. The first thing we did was of course SHOP. 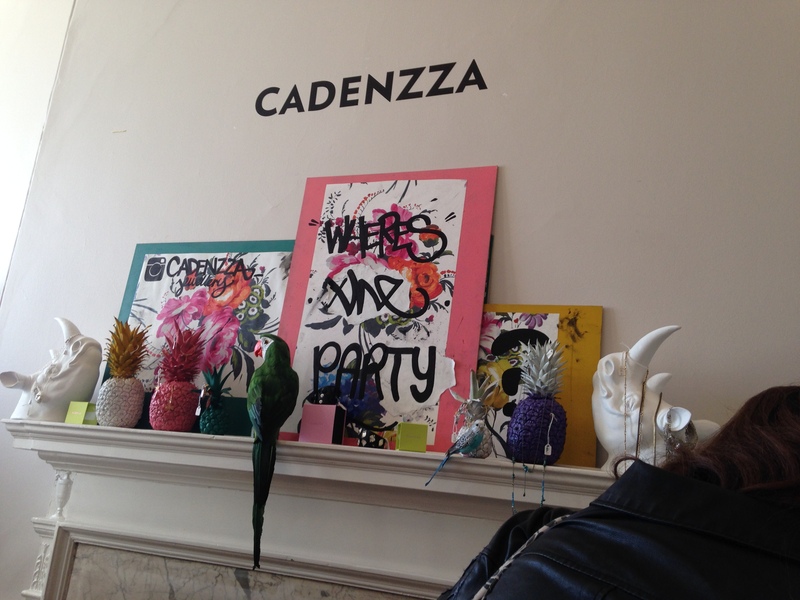 There so many little pop-up shops for independent boutiques, designers and creatives. There was jewlerry, denim, Levis, fur, coats, hats, steam pressers, Maybelline, Toni & Guy hair salon, OH and you can’t forget the Bueno lounge of massages and free choc. We couldn’t resist grabbing a freebie white Bueno- yummy! After our shopping spree and trying on and awing over lots of beautiful jewlerry and clothes we went off to watch the catwalk of Julien Macdonald’s Autumn/Winter 2014 collection. WOW. So much sparkle! The garments definitely dazzled me- I just wanted to rip the outfits of the models, well no not quite rip they were way to perfect to ruin, but just gently and sneakily steal them. The amazing Julien Macdonald was the designer of the striking and dazzling dresses Ellie Goulding has worn on X-factor and to the Brit Awards just last week. Aren’t they just fab?! 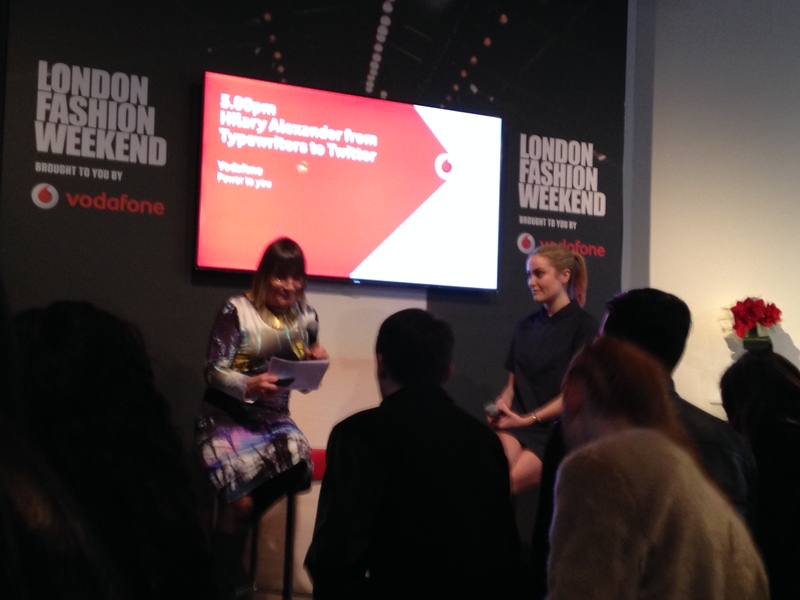 Not only did we see the live catwalks but we got to attend fashion event talks in the Vodafone Live Lounge too. The first talk was with the winner of Women In the Making, which is a competition for women who are creatives and designers who are looking to start/or have opened their own business. The winner of the competition receives money to support their business and make it grow, OH and they get to be mentored by famous female fashion designers, chefs, models and inspirations. Very very cool. The last talk we went to was with the amazing fashion journalist Hillary Alexander OBE. It was so interesting hearing her experience of starting out in journalism years ago when everyone was writing on typewriters compared to today’s generation of everybody tweeting wherever they go. She told us all about her favorite catwalks, designers who inspire her, and about her life as a fashion journalist. That lady has had one very cool life. 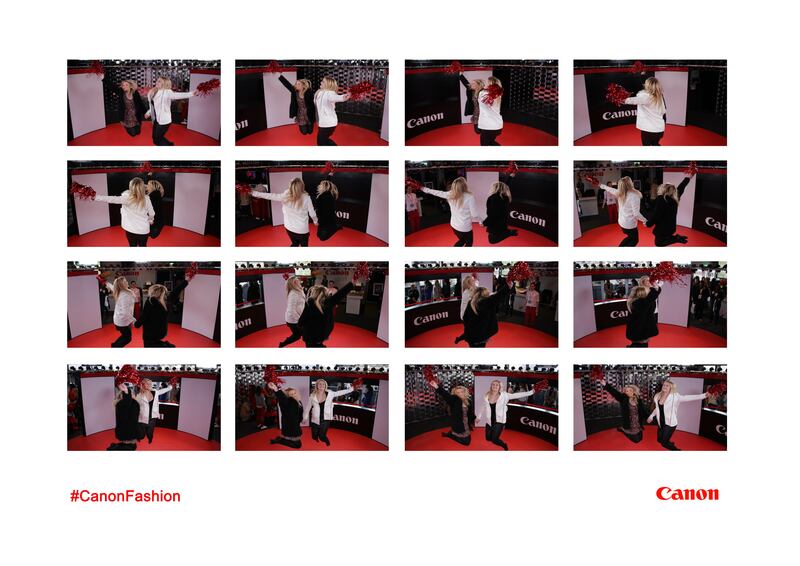 Before we left we just had to have the #CanonFashion experience! These were the images taken to create a 3D video picture that was emailed to us looking like my sister and I were flying cheerleaders. We loved it! Overall we had such a lush day, I’d definitely go back again- just look at my goodie bag! 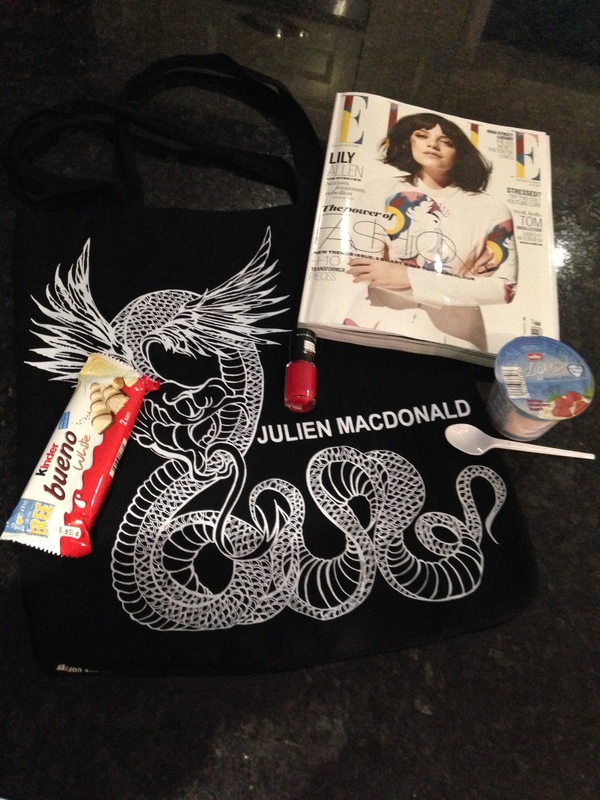 Inside our Julien Macdonald tote we grabbed Elle magazine, a Kinder Bueno, a Muller light yogurt and just because I was on Vodafone I got a red nail varnish for free. Not too bad eh?! 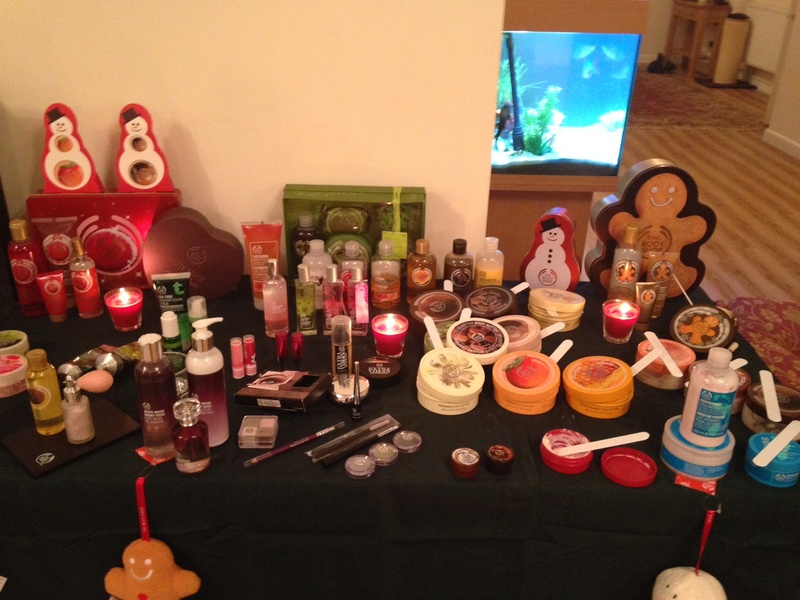 Last week I was invited to a Body Shop party and came home smelling of every flavour of The Body Shop collection! 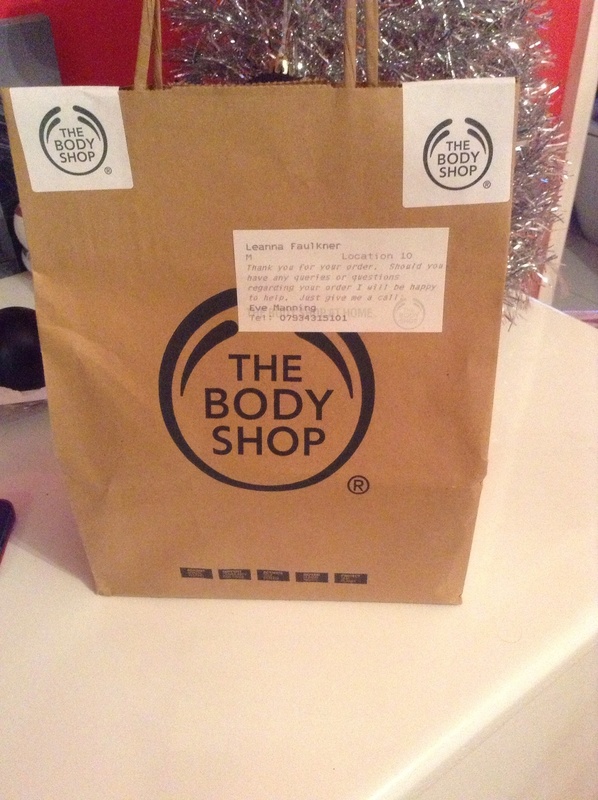 Oh and I ordered myself a satsuma body wash (smells LUSH) and a cranberry Christmas gift for my friend! In the new Christmas gift range I bought was a cranberry body wash, cranberry body butter and a wash scrunchie. I’m sure my Bessie and all your friends will love this gift too! I recommend purchasing the new Christmas range because it might even still be 30% off. BARGAIN! bareMinerals is my favourite make up. I bought the new start up kit a couple of weeks ago and I’m so glad I saved up my money to buy the make up again, you just can’t beat it. The new set is the same as the original starter kit but has a larger foundation pot rather than two smaller ones of different colour matches. At just £50 for a large pot of foundation, a warmer, mineral veil, a primer and all three brushes, you can’t really go wrong! Love this flawless make up.